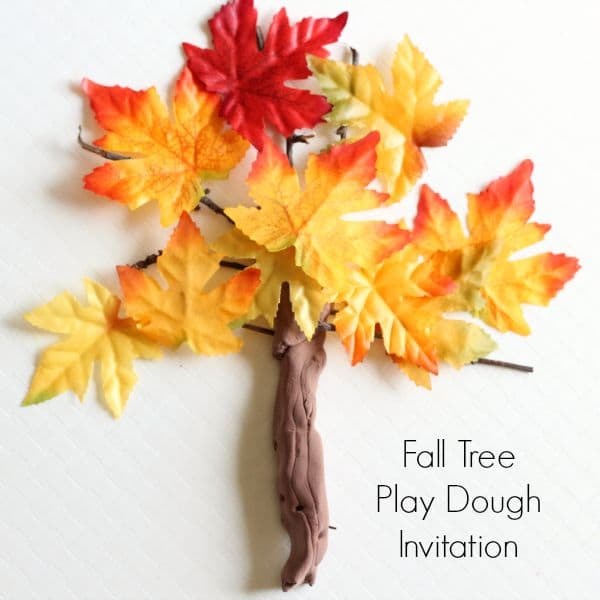 This fall tree play dough invitation encourages children to be creative while developing fine motor skills. 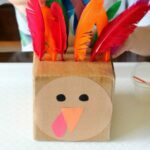 It is an excellent open-ended activity for fall! 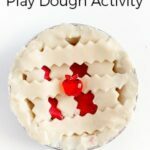 I really like to set up simple play dough invitations for my kids. 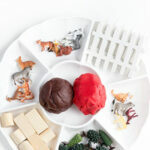 It keeps them busy with independent play and is a great way to foster creativity and develop fine motor skills. 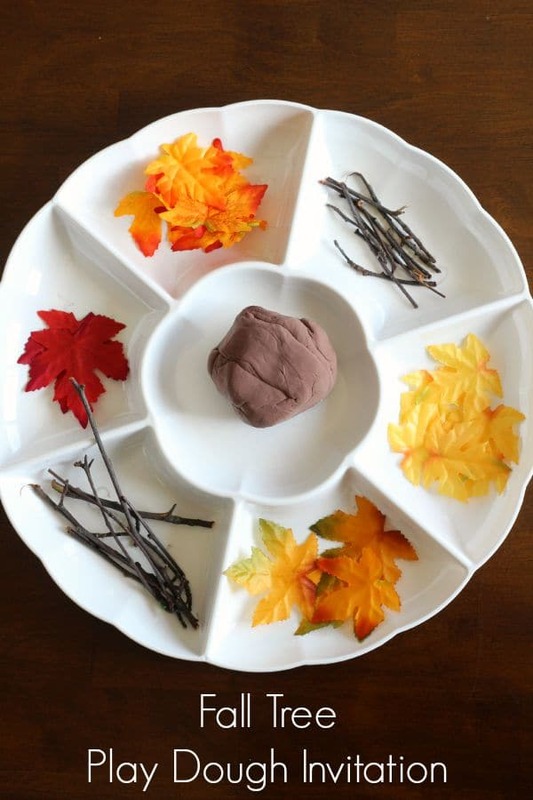 My son enjoys the chance to get creative while working with special supplies like sticks and leaves. 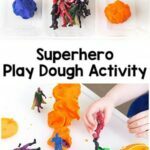 I used Model Magic because I didn’t have brown play dough and I find that it is an excellent fine motor challenge for my son. It is tougher to mold and really helps develop those small hand muscles! 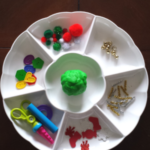 I like to set all of the supplies out on a tray so they are inviting and encourage my kids to create. 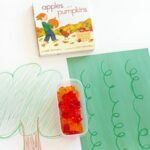 I showed Evan the tray and told him he could make a fall tree or any other fall creation he would like. He decided to go ahead and make a tree. He began by making the tree trunk with the brown Model Magic. It was a challenge for him to mold into a trunk, but he did it and was quite proud of himself. Then he decided to stick the twigs in the trunk and use them as branches for his tree. He stuck them all around the top of the tree. 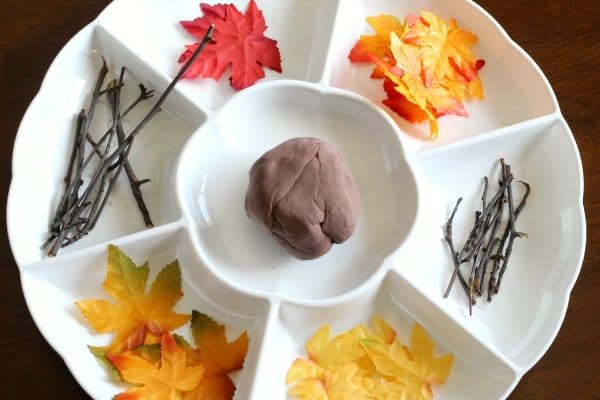 This was also a bit of a challenge because he had to use more force to get the twigs in the clay. After all of the twigs were in the trunk, he started adding leaves to the tree. 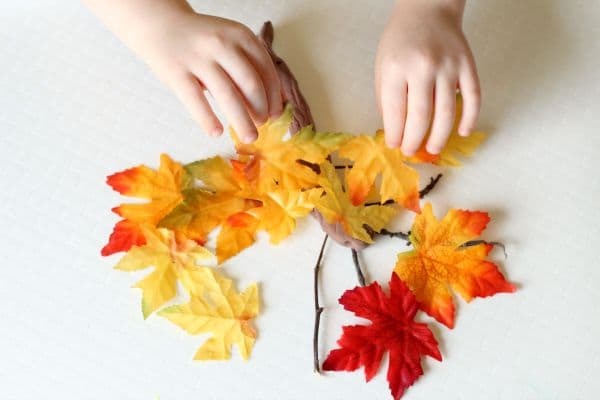 He used all of the different colors and spread them out all over the twigs. I love how colorful and full his tree was. It was quite beautiful!